Check out the latest Fabletics Coupon on My Subscription Addiction! Extended! Fabletics Presidents Day Sale – 50% Off Sitewide! 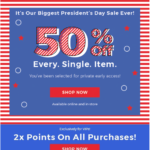 Fabletics Presidents Day Sale – 50% Off Sitewide! Fabletics End of Season Sale Starts Now + New Subscriber Deal! Fabletics Flash Sale – $25 Outfits! Today Only! Fabletics Sale – 50% Off Sitewide! 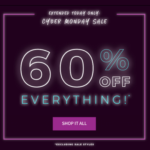 Fabletics Cyber Monday Sale – 70% Off First Purchase!